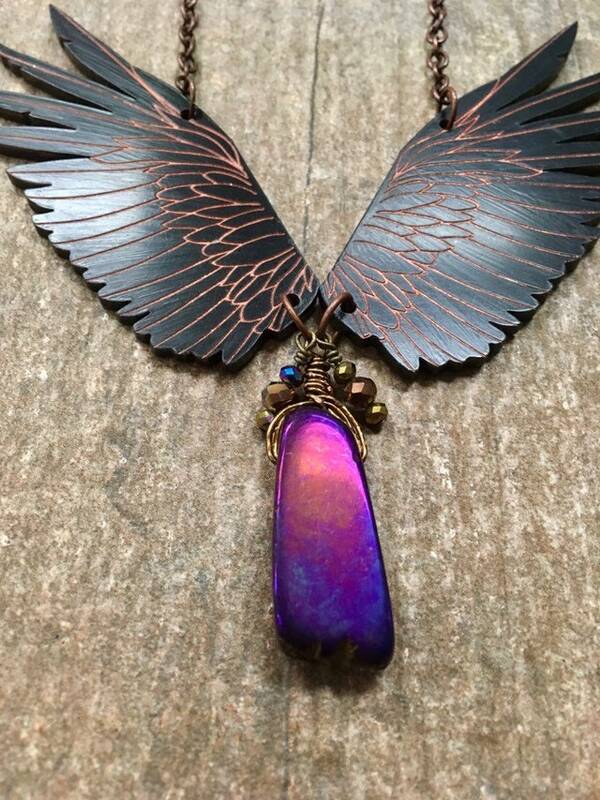 Metallic Gold Accented Flying Raven Wings with wire-wrapped Anodized Hematite pendant. 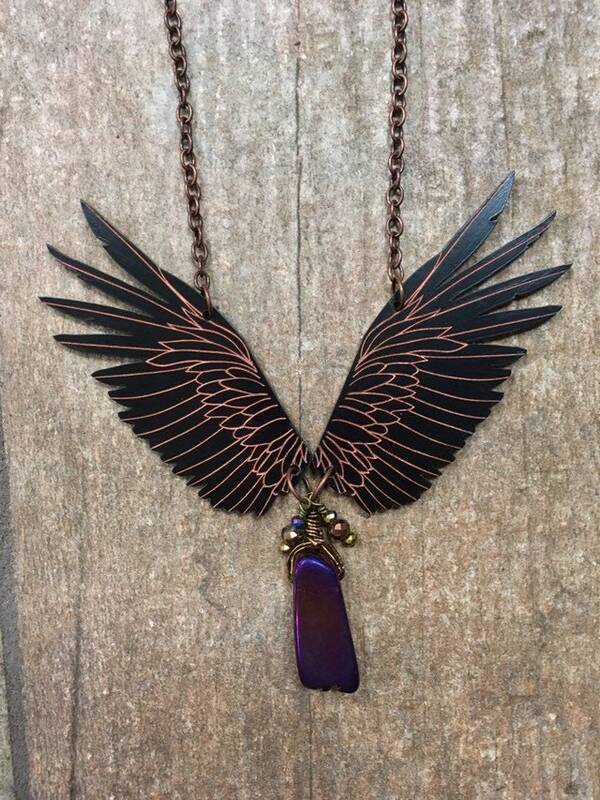 These raven wings are made with quality black acrylic and are precision laser cut and engraved. 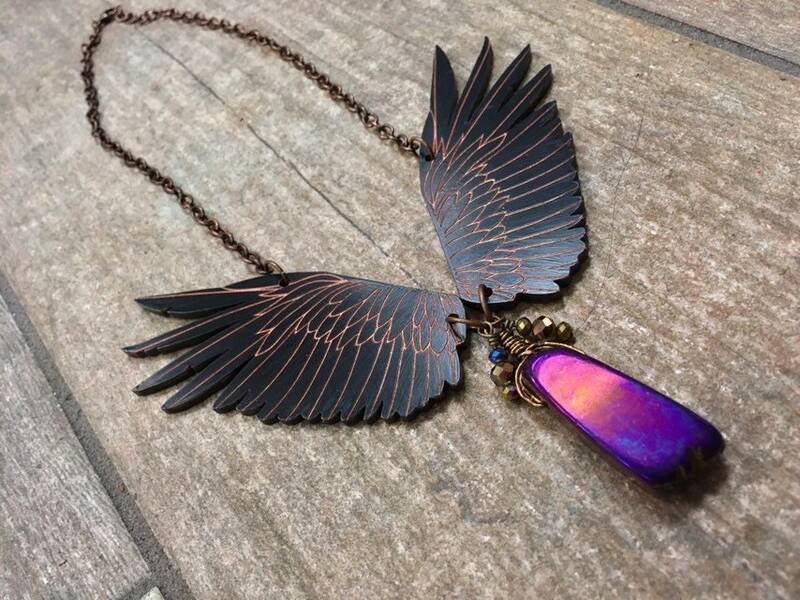 The wings are "vintage" aged and accented in metallic colors. 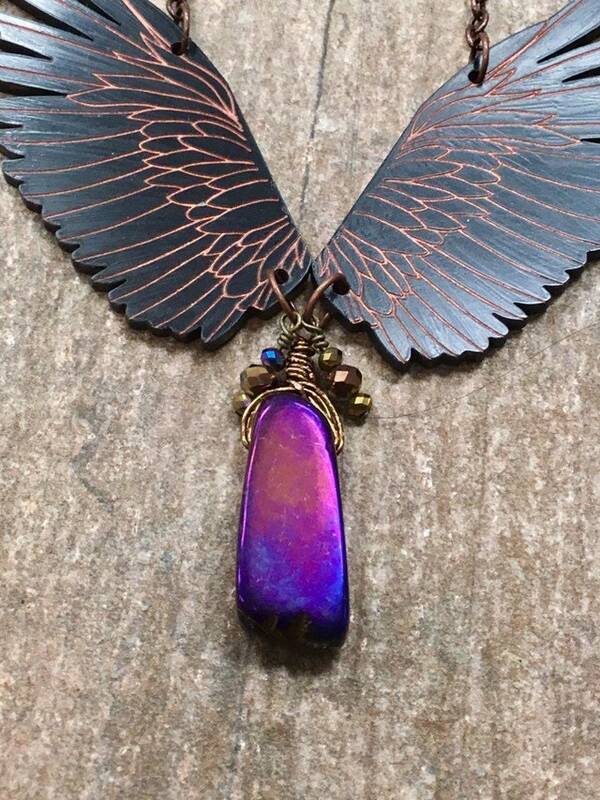 The wings spread from a purple, anodized hematite pendant. The wing span is approx. 7" across. The entire Silver style chain is approx. 16" long so it will rest the wings along the collarbone.